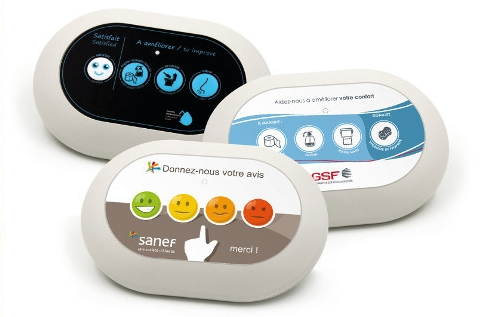 Smilio is a wireless voting box with 4 smileys. Thanks to LoRaWan™ you can place it Wherever you want and start a new survey in your shop, restaurant or public infrastructure. With Smilio, you can involve your team and commit them to improve the quality of services, and increase customer’s loyalty. You can use it for years without replacing batteries. The radio transmission is based on Sigfox or LoRaWAN™ long range technology at EU863-870 MHz.